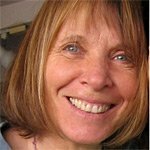 Jean Morrison, MA, has worked in the areas of health, education, business and criminal justice since 1985, including work with individuals, families and groups who want more satisfying relationships and harmonious interactions. She is a facilitator, communications coach and mediator, and she feeds her vitality and creativity by her involvement in a variety of settings for her work and projects. She continues her own learning process with the diversity of her clients. Jean has been a CNVC Certified Trainer since 1989, and deeply appreciates the value of compassionate communication and the contribution it makes to the quality of her own life as well as others. For playful group interactions and to contribute to groups and organizations, she facilitates retreats; and is an associate with Apex Adventures for team development.